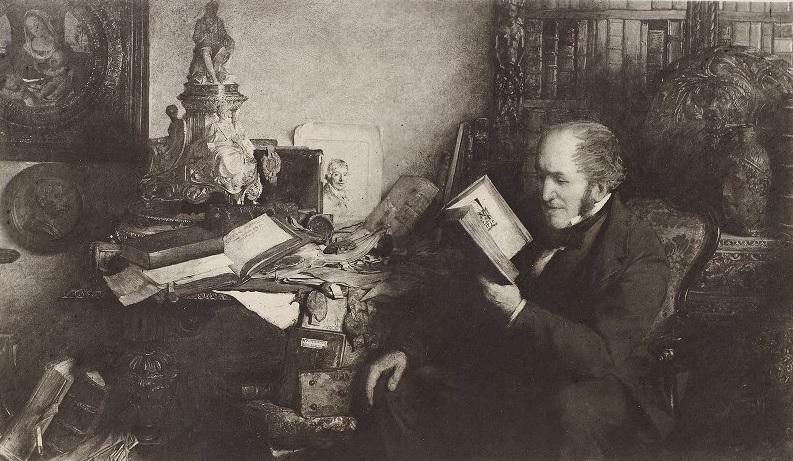 Notices of David Laing, 1878, Stevenson, Thomas George. 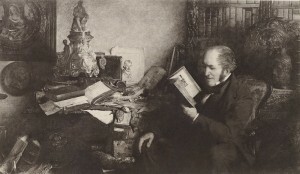 Etching of the collector David Laing reading from Ms 12. Hello & welcome to our very first Post! 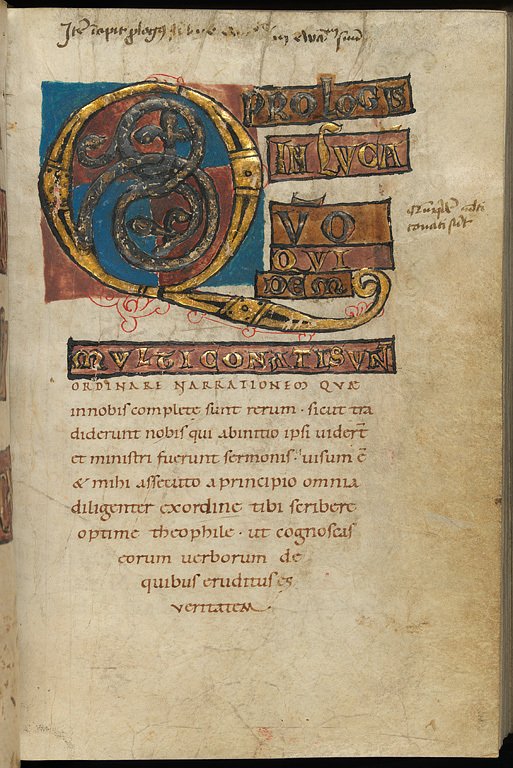 It seems appropriate to kick off this blog with the exciting news that we have just completed the digitisation of one of the Special Collections oldest manuscripts- Ms 12, an 11th Century manuscript of Four Gospels from Germany. When Bibliotheca Laureshamensis http://www.bibliotheca-laureshamensis-digital.de/ got in touch to discuss the possibility of photographing all 510 pages of the manuscript our Rare Books Librarian was thrilled by the re-emergence of this wonderful document & a joint digitisation project was soon agreed. f.122r of Ms 12, Four Gospels, 11thC. German.